On today’s podcast episode we are talking about not only being givers, but also receivers of service, and the life transformation that can occur because of that. Discovering your own worth as something no one else can define for you. As well as the role of music in healing as a means of communicating love. We will also have live music on the show!! You know how much it speaks to my soul!! 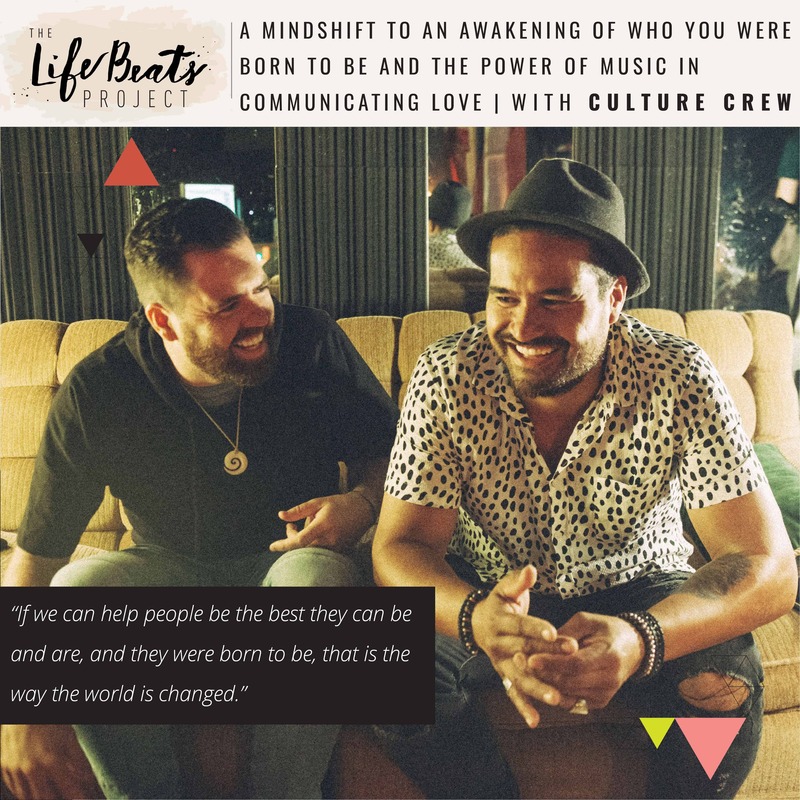 Today on the podcast we have the band members of Culture Crew, Sam Schultz and Aaron Watene who are both single dads who share the role of their own parents in shaping their own lives through their example of hard work and service as well as through music. They also share the pain they have experienced in their own personal relationships but the transformation and awakening of themselves that came when they remembered who they are and that no one else can determine their own worth, in part because of one another’s willingness to care and help each other rise out of some really dark times. This acoustic soul pop band with island vibes leads out with a movement they call, “Be Love & Influence”. That love is an action and we can help others to have a mindshift in remembering to love themselves. They share from their own experiences how they have seen that fear is a barrier to believing that love and joy are real, and how they have observed that out in the world as well as in their own personal experiences. So what they are about is sharing that this love and joy are real through the messages of their music and their call for others to be a part of their movement “Be Love & Influence” whether through visiting homeless shelter or water filter projects throughout the world. Listen to them play two of their songs live in my studio (and hear my groupie scream), “You Are” and “You do You”. Listen and be inspired to create a mindshift in the way you view yourself and the world around you, that although your circumstances may stay the same, you can see that you are in charge of how you view them.